The valley of gods, as the Kullu valley has come to be known, is perhaps the most delightful region in the western Himalayas. The ancient Hindus regarded it as the furthest limit of human habitation - Kulantapitha, and its original name finds mention in the epics, the Ramayana and the Mahabharata as well as Vishnu Purana. Departure from delhi at 05 PM . Travel by over night Volvo A/c Bus from Delhi to Manali. Arrival at Manali in the morning. You will be Picked up from bus stand & than Check in at hotel at 12 Noon In the Afternoon you can go for half day local city tour. Evening will be at leisure. Dinner & Over night at hotel. Breakfast at hotel. 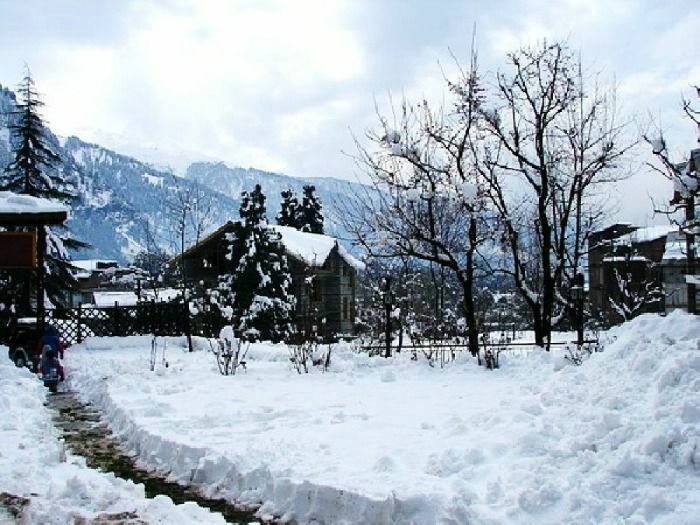 Today full day excursion visit to Rohtang Pass ( Snow Point in case Rohtang is closed due to snow fall) and Solang Valley.Excursion to Naggar Castle & Art Gallery. Return to hotel in the evening. You can explore the town / go to Mall Road late in the evening on your own. Dinner & Over night at hotel. Breakfast at hotel . Today could be at leisure or you can pay supplement charges of Rs 1800/- to Rs 2000/- App. and go by Taxi for sightseeing of Kullu & Manikaran Hot Water Springs. Return to hotel in the evening. Dinner & Over night at hotel. 1.Hotels given in the website / offered in the quotation to you is subjected to availability after the realisation of your initial payment 2. Birds holiday will confirm the hotels only after getting the initial payment from guest. 3. If offered hotels are not available at that time, Birds Holiday will book and give almost similar category hotels with your permission. 4. All guests are requested to visit hotel websites or other sites for hotel reviews before giving permission to Birds Holiday for booking the hotels. 5. Hotels once booked can be changed only as per the cancellation policy of hotels. All such cancellation charges will be charged to guest directly. 6. Normally vehicle is available from 8.30 am to 6.30 pm. We never recommend night driving on safety point of view. 7. On emergency cases /special cases we provide early / late driving, but it should be mentioned in the final itenary sent to you. 8. In Deluxe a/c houseboats , a/c will be operated from 9 pm to 6 am in bed rooms. 9. Check in time of houseboat is 12 noon and check out is at 9 am .Houseboat will not make cruise from 5.30 pm to 7.30 am 10. All guests are requested to give menu to houseboat people one day in advance to enable them to prepare for your trip 11. The service / quality complaints of houseboats , if any should be raised on that time itself, then only Birds Holiday can correct the same. 12. Cancellation of all packages with the panel hotels ( listed in our websites ) is subjected to the cancellation policy of Birds holiday , which is exhibited in the website. Cancellation of all other packages will be subjected to the policy of each hotels included in that package. 13. Any unexpected Natural calamity , Strikes , Hartals etc are beyond the control of Birds Holiday , and Birds Holiday not responsible for the inconvenience due to this. 0% of package cost as service charge for more than 25 days noticed cancellation. 25% of package cost as Cancellation charge for 14 days noticed cancellation. 50 % of package cost as cancellation charge for 7 days noticed cancellation. No refund for any tour cancelled without 7 days notice period. Pay 30 now to book this package. Taxes Additional.